• It’s a mini pre-Christmas edition of The Purge and we’re kicking off with news that Scott Bradlee’s Postmodern Jukebox is headed back to Australia. The band will once again breathe old life into new hits when they cross the country in September next year; the tour commencing at Perth’s Astor Theatre on September 20 before making stops in Melbourne, Brisbane, Adelaide, Wollongong, Canberra and, finally, Sydney. 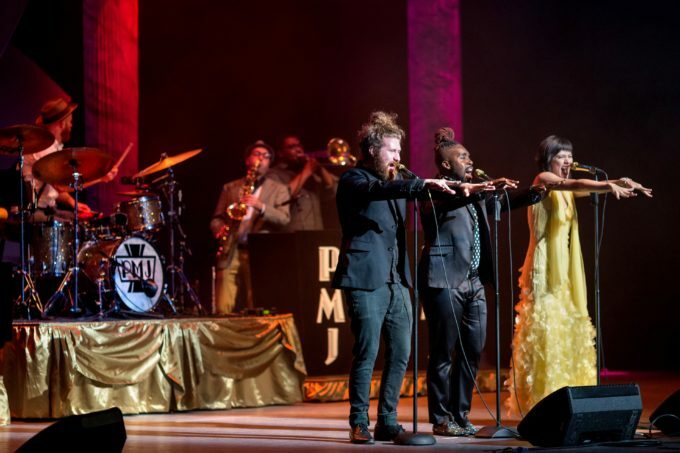 “We’re once again excited to bring our vintage universe of pop music performed by some of the greatest talent in the world back Down Under,” band leader Scott Bradlee said in a statement. Tickets for all shows are on sale from 10am on Wednesday December 28. • Organisers of the FOMO Festival, which takes over venues in Sydney, Brisbane and Adelaide early in the new year, have revealed that a few of its acts will perform headline shows while they’re on the ground. US performer Desiigner, who had a hit recently with ‘Panda’, has already confirmed an Under 18s show at the Enmore Theatre in Sydney on January 09, but will now play 170 Russell in Melbourne on January 10 and Metro City in Perth on January 11. JME’s locked in for a Melbourne date at the Corner Hotel on January 03, while Metro Boomin will play both Melbourne (170 Russell on January 13) and Perth (Villa on January 14). Tickets for all news shows are on sale from 10am local time today.